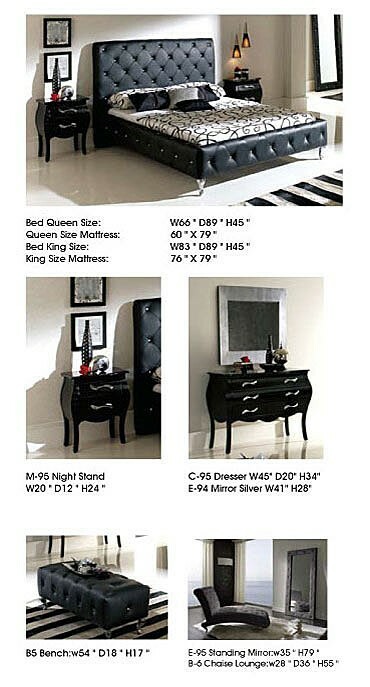 King Leather Bed: L83" x D89" x H45"
Queen Leather Bed: L66" x D89" x H45"
Standing Mirror: L35" x D2" x H79"
Nightstand: L20" x D12" x H24"
Dresser: L45" x D20" x H34"
Mirror: L41" x D1" x H28"
Leather Bench: L54" x D18" x H17"
Tall Chest: W22" x D18.5" x H50.5""
Chaise Lounge: L28" x D36" x H55"
Nelly bedroom set in black has a leather upholstered bed with tufted design headboard and sides. Made in Spain by Dupen it includes a platform for queen and king size beds. 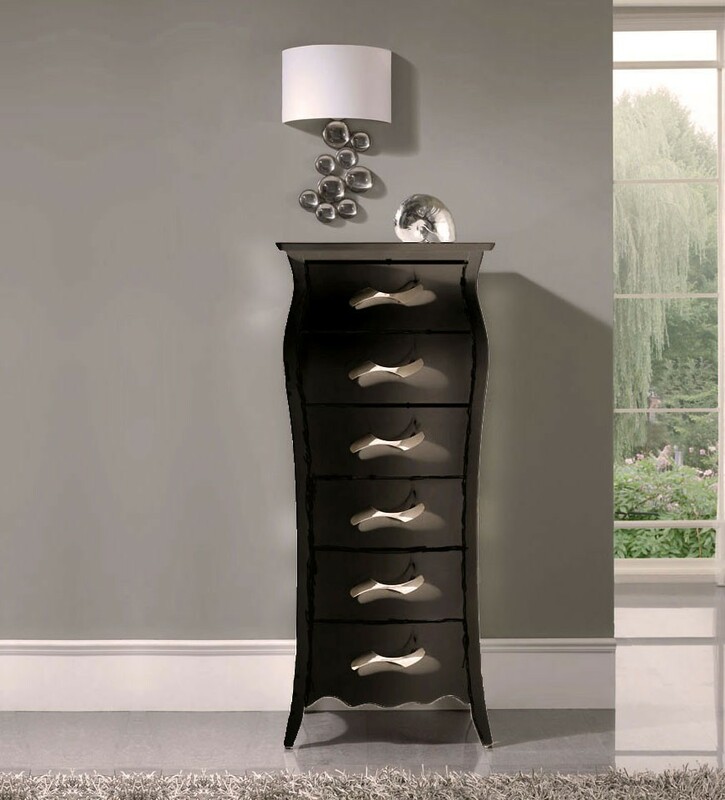 Silver hardware on smooth drawers of case goods matches the curved legs on the bed. Contemporary style Nelly collection with touch of classic together producing truly one of the kind design which will last for many years in your home.